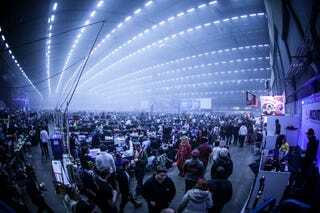 DreamHack is where some of PC gaming's elite professional teams go to compete for millions of dollars in prize money. Now, one of the people who helped turn it into one of the world's largest video game events has been booted from the company. Is there an internal power struggle within DreamHack? No. The daily operation at DreamHack between owners, management, employees, the board and our crew is working all fine. The plan how DreamHack should be led and developed is crystal clear and there's no internal conflict between owners, leadership, employees and the board about this. Has Robert been the subject of a Coup d'état? No, this has been a long process in which over the past months the board and leadership within DreamHack has unanimously seen a need for change within the leadership of the company and communicated with Robert, it has not been something that has happened suddenly or overnight. Why is the board relieving Robert as CEO at DreamHack? At the end of the day its about the faith and confidence internally for Robert Ohlén as CEO was missing. DreamHack has had great development and growth with Robert as CEO but we're sure that in order to continue development we needed these structural changes that have now happened. Will more employees leave DreamHack? No. No other staff at DreamHack have given notice to leave or been given notice of dismissal. Instead we have recruited fresh blood and new staff to strengthen our organisation. Will DreamHack stop with activity X or arrange competition in game X now? DreamHack's CEO has never been an essential part of the process when it comes to game selections and those kind of questions. It will not be that way in the future either. Development of content and eSports is done by project leaders in discussion with the management team, crew and sometimes consultants. During Ohlén's tenure, DreamHack joined forces with Major League Gaming and the Electronic Sports League to create unified competition architecture and ranking systems for all games run by the other eSports promotions. CORRECTION: Though a partnership was announced, no such architecture ever came to pass between the eSports organizations. I regret the error. We've reached out to Ohlén for comment and will update this article if he responds.